Just wanted to post on my latest project. 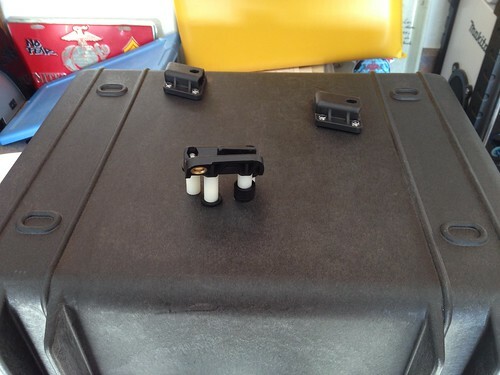 Purchased two 1550 Pelican cases for $100 each. Took the hardware off the SMT soft bags and after some measuring, bolted them on. End result I think looks pretty good and will definitely be an improvement. My only concern will be if there is any issue with the stock luggage rail being able to handle the added stress. I don't intend to heavily load the bags, as mostly they will be used to store riding gear and a change of clothes for riding to work. If your considering doing this, here are some more details. The top two hangers are easy to line up. There is a large plastic "pattern" that connects the to hangers on the stock bags. I used that pattern to mark the hole locations on the Pelican case. Simply drilling those holes and reusing the stock bolts worked flawlessly. I laid the shell of the KTM bag on a piece of cardboard and marked the hole locations. I used that pattern to mark the location of the lower mounting bracket. There is a significant gap between the Pelican case and the luggage rail and the bracket needs to be at an odd angle (slightly forward and down on the upermost hole). 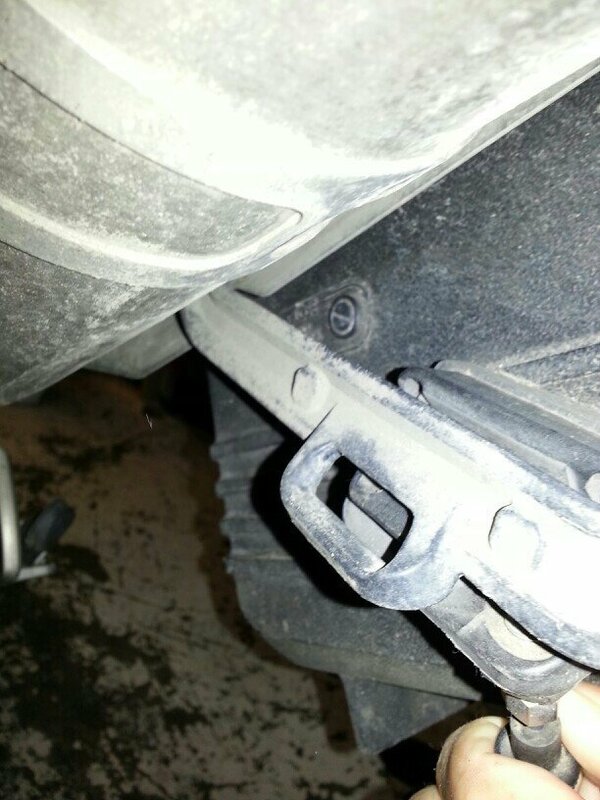 I purchased longer bolts than I needed, added a half inch spacer and rubber washers to the forward two bolts. I used 1 inch spacers and a washer on each of the aft holes. A little trial and error in tightening made for a perfect fit. I then marked the bolts and cut off the excess length. I will paint the spacers black to blend a little better, but for the purposes of the pictures, I left them white. 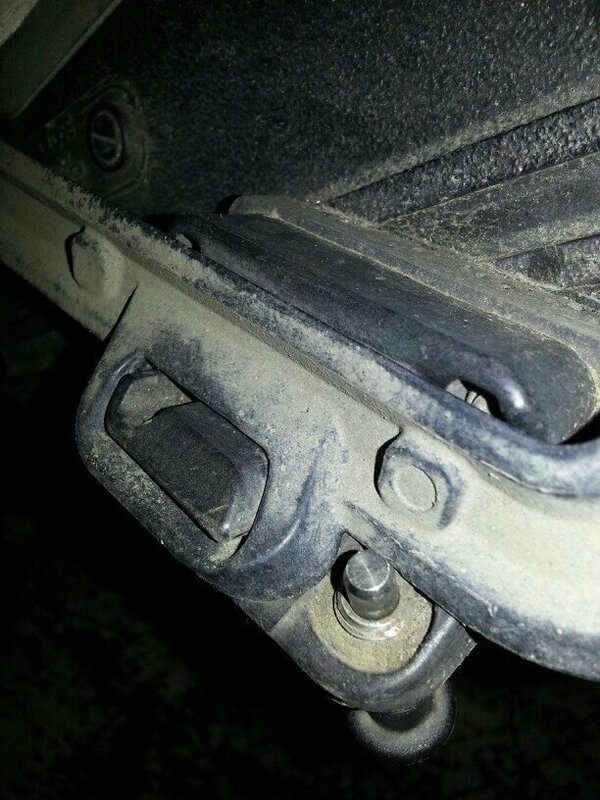 Sorry, tried to upload the pictures, but the forum is saying that the "board attachment quota has been reached." Not sure how, as I haven't uploaded anything yet. Moderator help? 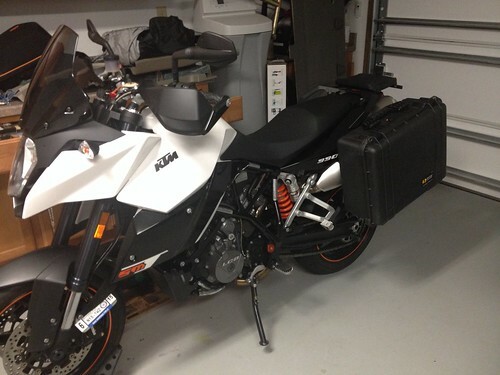 The pictures make the Pelican cases look much bigger than they really are in reality. What a shame you can't purchase the mounts (from the original soft cases) as a separate part/kit to use with other cases as you've done here. It looks like a pretty good set up. Nicely done. I mounted dokasil cases equivilent to pelican 1450. 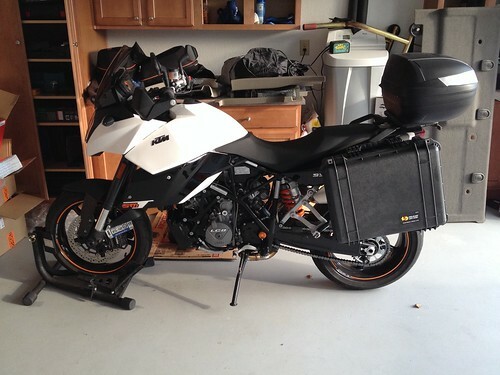 And a pelican 1500 as a top box. 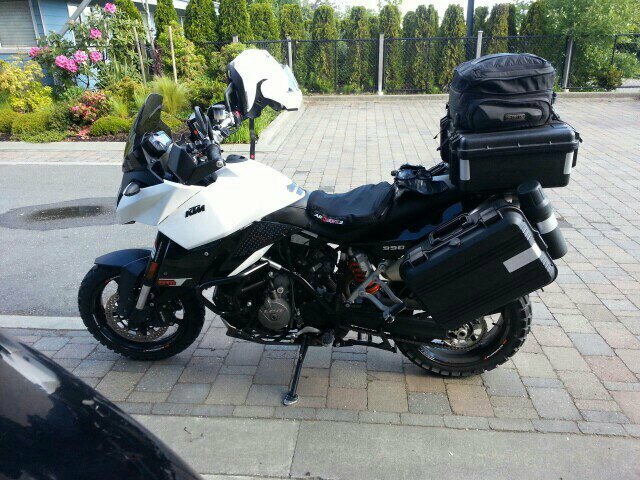 They have been rock solid for thousands of kms full of gear. 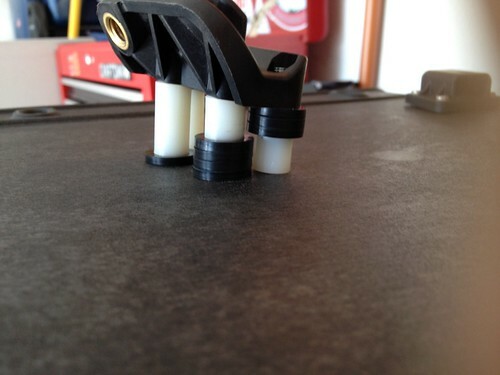 The stock mounts are strong and flexable which helps over bumps. I connected the rear bottoms of the cases with a rocstrap to help keep vibration to a minimum. Some more pelican info and pics on this thread. Mikeylikesit: Do you have a model number for the Doskocil cases? I know they have some that are thicker than others, etc. Some are downright flexible (but light weight) and I'm curious how they might hold up. milq wrote: Mikeylikesit: Do you have a model number for the Doskocil cases? I know they have some that are thicker than others, etc. Some are downright flexible (but light weight) and I'm curious how they might hold up. Just reading this now. My doskocil dont have model nimber on them. They r the same size a pelican 1400. And equally as rigid. Lighter flexible ones may save some weight and you would just have to treat them as such. 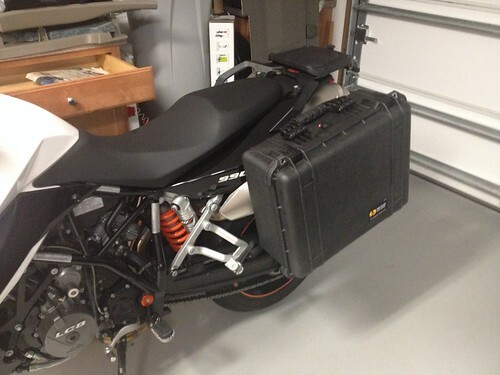 Still they would be stronger than the oem panniers. Excuse the dirt.....i took these pics from the top of the rear tire. Hope this helps! I think I may have a solution for you ... I'll post pictures this evening since I just installed this past weekend... I had Tom from Turbo City create a rack for my wee-strom ... The ones he has on his site are for the Vee, but he is working on producing for the Wee as well - I think I am sort of a guinea pig... At any rate, the rack is quick release for the bags spring loaded pin to keep case in place, and the mount that you drill onto the cases I picked up 2 pelican 1550 cases are very small, and allow you to lay the case flat resting on the mounting frame... You can use any case you want, just have to drill for the mounts very easy... 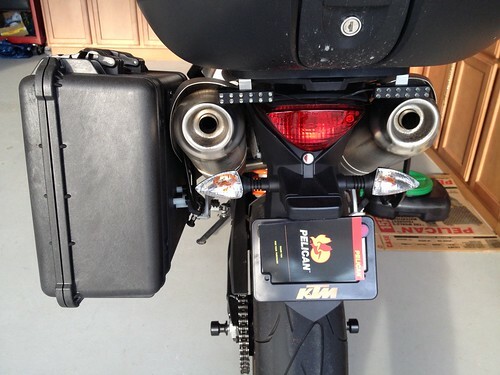 It's a pretty sturdy setup, and bolts directly into where the oem luggage rack mounts.